R.B.I. 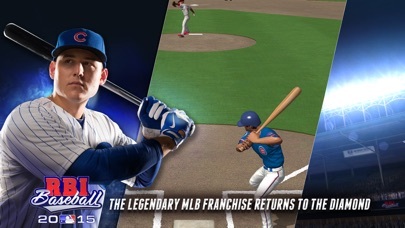 Baseball 15 makes a return with many new features added in its off-season while still remaining fast-paced and and good old fun to play with the genre’s classic and easy to play two-button controls. To become a real baseball pro players can train themself in hitting and fielding. 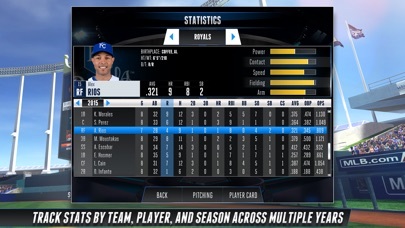 With the easy retro controls you can control the movement and location of every pitch from release to crossing the plate. 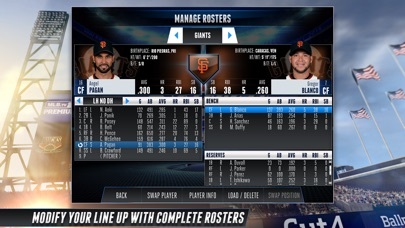 The legendary Major League Baseball franchise returns to the diamond. Make History. REQUIREMENTS NOTICE: R.B.I. 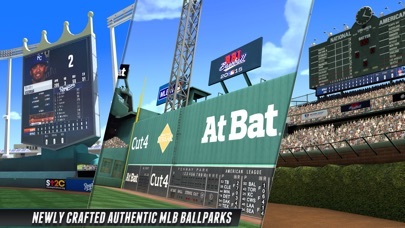 Baseball 15 is ONLY compatible with the following devices: iPad 3, 4, Air, Air 2 and Mini 2, 3 (original Mini not supported); iPhone 5, 5c, 5s, 6 and 6 Plus. iPod Touch is NOT supported.. Please make sure your device is supported before downloading. Batter up! 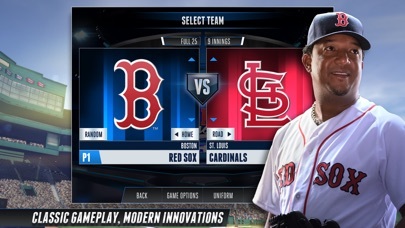 Swing for the fences and see how far you can hit in this fun home run derby style arcade game! Download it for FREE today!